Zee TV’s popular show, Tashan-E-Ishq (Esselvision Productions) has finally got its new Kunj!! And it is not heart throb and Naagin fame Arjun Bijlani playing the role, as reported by media. It will instead be Naman Shaw taking over from Sidhant Gupta as the new male protagonist. Interestingly, Naman has been a replacement expert, who has taken over the male lead roles earlier in shows Beend Banoonga Ghodi Chadunga and Kairee. Indeed, talks were on with Arjun, but it is Naman who has succeeded in grabbing it now. We tried calling Naman, but could not get through to him. The actor was last seen in Piya Rangrezz. Are you excited to see Naman Shaw as the new ‘angry young man’ of TV? As reported, Kunj will have a new face post the plastic surgery done by Dr. Pallavi (Charu Asopa). The new Kunj will seek revenge from Twinkle, as he would feel that she has conveniently moved on post his death. Zee TV’s Tashan-E-Ishq (Esselvision Productions) has opened up a fresh track post the leap with Twinkle (Jasmin Bhasin) trying to lead her life without Kunj (Sidhant Gupta). Meanwhile, Kunj who is being treated by Dr. Pallavi (Charu Asopa) assumes that all is well at his place, and that he will be back with them soon. The coming episodes will bring a good as well as sad news. Twinkle will be seen fainting, post which it will be revealed that she is pregnant with Kunj’s child. Yes, this will bring a cheer and smile on Twinkle and her family’s faces. But at the same time, the family members will start worrying more about Twinkle, as it will be very difficult for her to raise her kid all alone. Meanwhile, there will be another new entry in the show. Child artist Palak Dey who was last seen in Humari Bahu Rajni_kant will enter Tashan-E-Ishq, as the kid staying with Dr. Pallavi. Pallavi would be shown raising the kid as a mother, after the death of the kids’ family. We tried calling Jasmin and Charu, but could not get through to them. Zee TV is gearing up for few big fiction launches this summer, and one of them happens to be their in-house venture by Esselvision Productions. 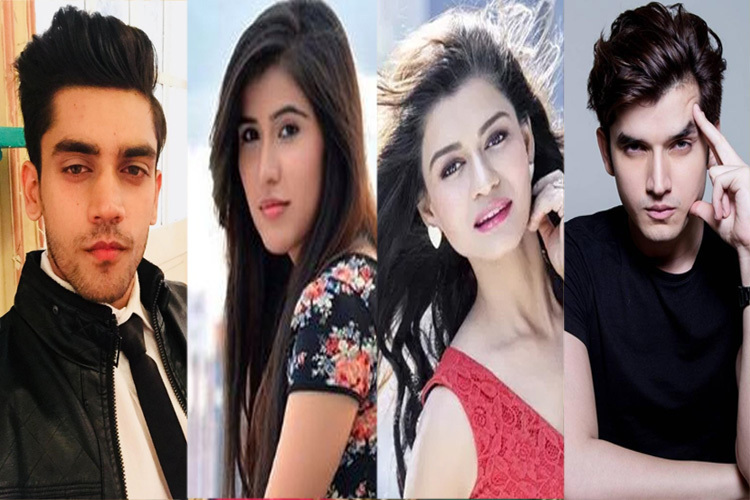 Tentatively titled Tashan-E-Ishq, the show will have a Punjabi backdrop, and will have all the possible elements – love, family drama, comedy and emotions. Talented, suave and handsome Zain Imam, who won all hearts as Abhimanyu in MTV’s Kaisi Yeh Yaariaan, has been roped in to play the male lead. To tell you more, seasoned actor Bhupinder Singh who played father to the protagonist Durga in Ek Hasina Thi, has been brought in to play Zain’s father. Bhupinder has done noteworthy roles on TV in shows Yeh Pyaar Na Hoga Kam, Madhubala – Ek Ishq Ek Junoon etc. We tried calling both Zain and Bhupinder, but their lines were not accessible. We dropped a text to the spokesperson at Zee TV for a confirmation, but did not get any confirmation on the same. We hear that the show will go on floor by the end of May. The team plans to shoot their first outdoor in Amritsar and Ludhiana. Keep watching this space for more exclusive news on this show.